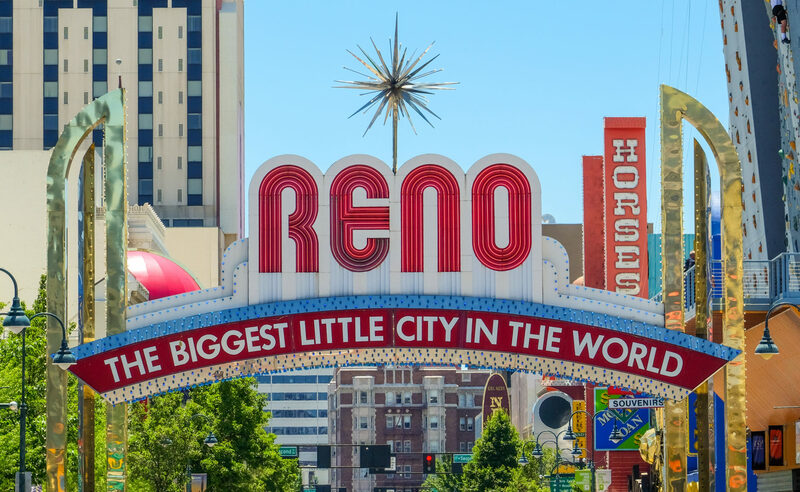 Reno, Nevada is known for being “The Biggest Little City in the World.” Curious what that meant, I drove an hour from Lake Tahoe to check it out — and discovered inventive street art, diverse entertainment and more. Driving away from the perfectly cerulean waters of Lake Tahoe and toward Reno, Nevada, I was on a mission: get to the famous “The Biggest Little City in the World” sign in the downtown casino district and take a picture. To be honest, I figured the photo op was the main draw of the city, which is located right on the border between California and Nevada. 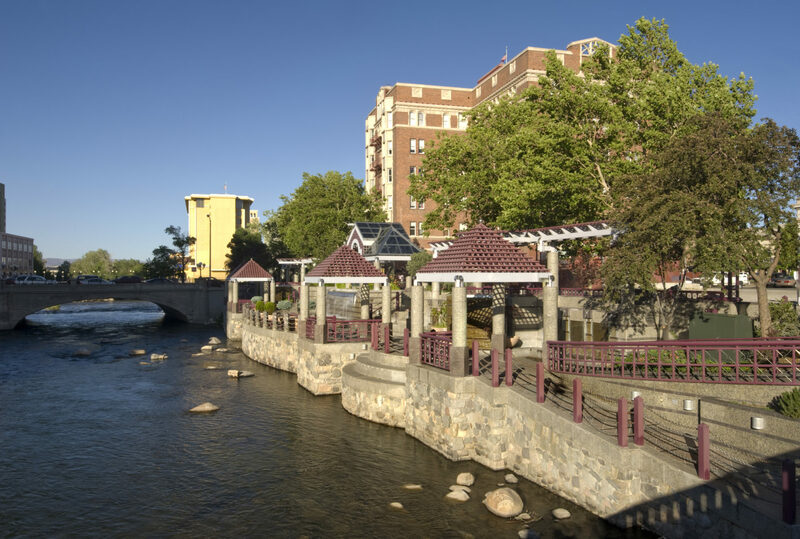 But once I arrived and started walking around Reno, I quickly realized there is so much more to the city than a relic from the past. In fact, it’s a funky, charming and fun destination that’s perfect for a day trip. From checking out Burning Man sculptures to playing your hand at the casinos, here are my favorite ways to experience Reno. 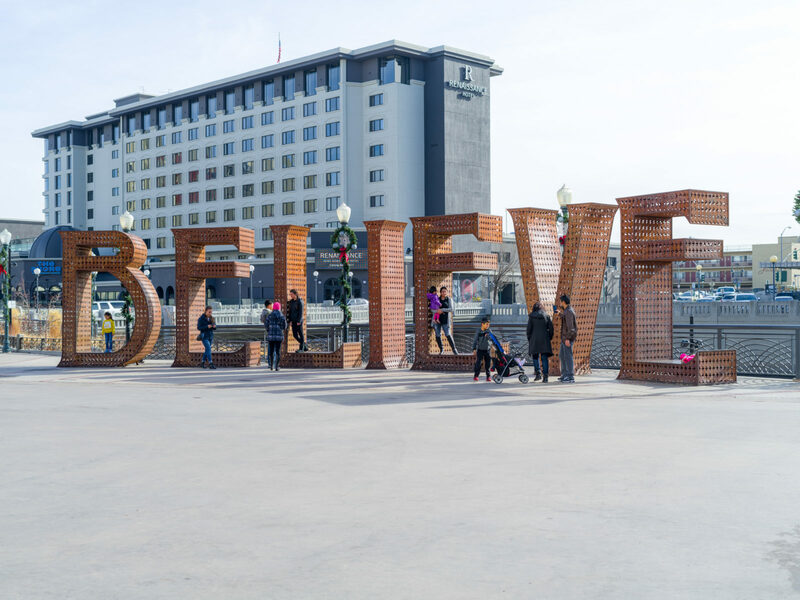 For those who love street art, it doesn’t get much better than Reno: there are more than 20,000 square feet of murals painted around the downtown and midtown areas, and more than 185 Burning Man sculptures dotting the city. To make sure I saw the highlights, I took a walking tour with Art Spot Reno. The tour started at Reno City Plaza, where a giant stained glass humpback whale caught the morning light perfectly. From there, we made our way to the Reno Playa Art Park, which houses ten imaginative (and very Instagrammable) works from past Burning Man festivals. As the group continued to walk, we gasped at several stunningly detailed and moving political and social justice-focused murals that stood several stories high. There’s also some interesting art inside the older casinos, so it’s worth strolling through them (with your eyes peeled!) even if you’re not much of a gambler. From the outside, The Depot looks like a classic, old train station. On the inside, it’s a popular brewery and distillery serving up flights of ale and buffalo wings that pair perfectly. In fact, it’s Nevada’s only brewery-and-distillery in one. I stopped in for brunch, savoring a gin-based cocktail that complemented my chicken and waffle sandwich perfectly. Later that day, I sought refreshment at the swanky speakeasy, Death & Taxes, which specializes in making artisanal cocktails with fresh seasonal ingredients. I opted for a Manhattan and enjoyed soaking in the ambience while sitting and sipping next to the open fireplace. Stop by The Depot from 3 p.m. to 6 p.m. any day of the week for their generous food and drink happy hour. 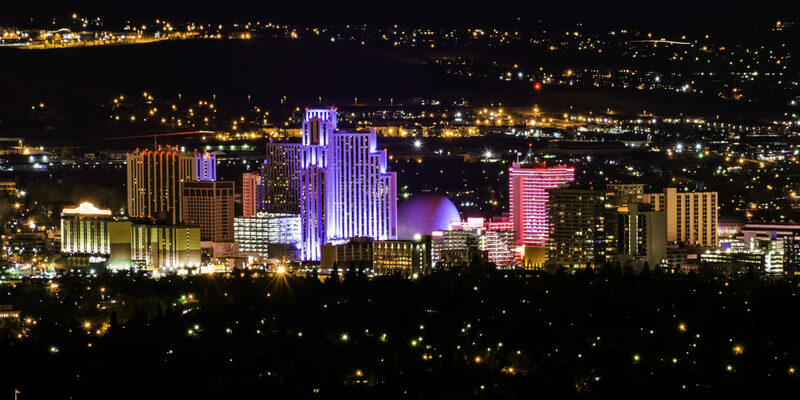 In its heyday, Reno was a gambling playground for Hollywood stars like Clark Gable and Marilyn Monroe. 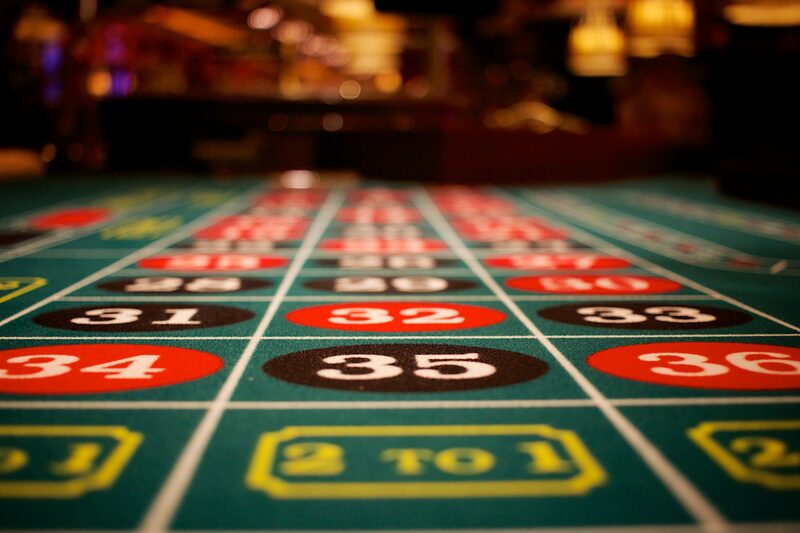 Although some of the city’s casinos have seen better days, visiting them is still a must-do experience while in town. You’ll find more than a dozen to choose from, so take your pick and head in for some craps, slots or a hand of blackjack. I’m not much of a gambler, but I decided to try my luck anyway. Unsurprisingly, I lost $10 playing the $1 slot machines, so I cut myself off and headed to the spa for a relaxing massage instead. While walking along the Truckee River, I spotted The Basement — a historic building that’s been converted into a creative marketplace — and had to go in. Walking through the industrial chic hallways, I found everything from a barbershop, locally sourced salads, an apothecary, Milky Way-flavored coffee and more. Eventually, I stumbled into a gourmet chocolate shop and couldn’t resist trying some truffles for a sweet ending to my day in Reno.